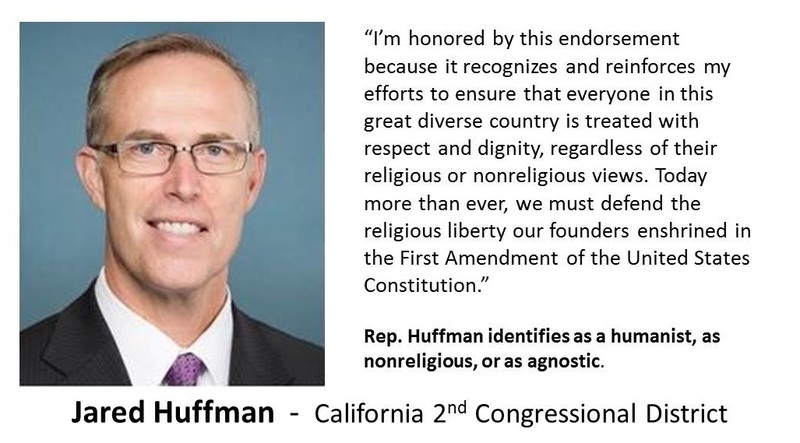 The Freethought Equality Fund Political Action Committee is proud to endorse the re-election campaign of Rep. Jared Huffman, who represents California’s 2nd Congressional District. The mission of the Freethought Equality Fund (FEF) is to help remove the stigma against the nontheist community and to achieve political equality by increasing the number of open humanists and atheists, and their allies, in public office at all levels of government. FEF supports progressive candidates who are strong advocates for the separation of religion and government and who pledge to ensure equality for all regardless of race, gender, sexual orientation, and religion. The FEF supports candidates who advocate for secular government, scientific integrity, reproductive freedom, LGBTQ rights, and civil rights for all Americans. FEF is affiliated with the Center for Freethought Equality, which is the advocacy and political arm of the American Humanist Association.